Ah, regrets. It’s hard to think about the would’ve been, could’ve been, should’ve been if only someone had been honest and forthright. Then again, sometimes a person can be a little too honest, and it gets them nowhere. So maybe stifling things down deep for years is the best solution so no one gets hurt, even if they’ll never be truly happy. Dae-young and Ji-woo grab a bite at a convenience store, and Dae-young marvels that imported beer is so cheap these days. Flashback to 2005 where the gang is hanging out at a bar. Dae-young only drinks German beer in anticipation of his trip to Germany next year. He wants to get his palate adjusted, and Seo-yeon snarks that maybe he should adjust his schedule to German time, too. Dae-young, though, thinks that’s a great idea. Jin-seok asks Byung-sam if they can order more food, and Byung-sam generously says they can order whatever they want. Byung-sam asks if Ji-woo wants anything else, then drunkenly slurs out that he likes her and wants to be her boyfriend. Ji-woo politely says that she likes him, too — but only as a friend. 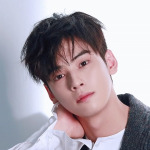 As Dae-young and Jin-seok head to the bar to order another round, Jin-seok marvels that this is the sixth time Byung-sam has asked Ji-woo out, and the sixth time she’s refused him. 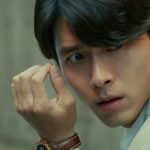 Dae-young corrects his friend, pointing out that it’s actually been seven times — every holiday since the New Year, including his birthday, Byung-sam’s drunkenly confessed his feelings for Ji-woo. And each time, Ji-woo politely declined. In the morning, Seo-yeon suggests that Ji-woo tell Byung-sam how she feels when he’s not drunk, since part of the problem is that afterwards, Ji-woo pretends nothing happened. Ji-woo doesn’t want to make their friendship awkward, but Seo-yeon slyly points out that Ji-woo just doesn’t want to complicate things by admitting she actually likes Dae-young. Byung-sam’s also reeling from a hangover and regret, as Jin-seok confirms that he once again asked Ji-woo to be his girlfriend. The boys are soon distracted by a news report about an enlisted soldier who hated his life in the military and who killed eight of his fellow soldiers. This isn’t exactly comforting news to the boys, who are all up for their enlistment physical examination in a couple of weeks. Jin-seok wonders if they should try to put it off for another year, and Dae-young points out that it’s not like there wouldn’t be a crazed person next year, too. Even so, none of them look particularly excited about their impending enlistment. Seo-yeon and Ji-woo go grocery shopping, and Ji-woo eagerly helps herself to all the samples. They run into Dae-young who has a cart full of beer. Te boys plan to drink away their depression about enlistment, but Ji-woo’s surprised to discover that Dae-young will be enlisting so soon. She’s so disheartened that she loses her appetite, claiming it’s due to indigestion. Seo-yeon blames it on all the samples Ji-woo ate, but Ji-woo just grumpily goes to bed early. On her way to refill the vending machine, Ji-woo sadly remembers all the fun times the gang of friends have had together in various places around campus. She especially remembers the close times she’s spent with Dae-young over the past year: playing soccer, learning to dance, studying together, and the school festival. As she reaches the vending machine, she remembers the first time they met and Dae-young asked for the “golden ratio” of her coffee mix. She’s so distracted that she starts putting creamer into the coffee spout. Dae-young suddenly appears to point out the error, which causes Ji-woo to swing around and spill creamer all over him. To apologize for the mess she made, she offers to buy him lunch. Dae-young is surprised that Ji-woo’s tray is so empty, and offers to help with her digestion by grabbing her hand to pinch the acupressure point. She yanks her hand back, reassuring him it’s nothing — she just ate too much yesterday. Dae-young assumes that she went somewhere delicious and didn’t invite him. He tells her that she can’t do that, because once the other boys enlist, Ji-woo will be the only one he can eat meals with. Ji-woo’s surprised that he’s not enlisting with the other boys, and Dae-young says he’s postponing it for a year so he can go to Germany for the World Cup. Suddenly Ji-woo’s appetite — and her smile — are back, now that she knows Dae-young will be sticking around for another year. He sighs that he’ll have to miss a day of work because he still has to go to his physical exam. Ji-woo offers to cover his shift for him, or at least the three hours while he’ll be gone, so he won’t lose out on any money. Ji-woo throws herself into her work at Bennigan’s while Dae-young and the other boys take their medical tests. The other three boys keep trying to find excuses that will let them score lower on the medical exam, especially the psychological test in light of the recent tragedy. They all (except for Dae-young) eagerly mark their papers to make them sound as unstable as possible until they’re informed that, unless their mental health is clinically proven, they’ll be considered draft dodgers and receive the worst assignments. Ha, half the guys there suddenly need to get new test papers. Sung-joo’s confident that he won’t have to serve full-term because he had kidney stones so he has weak urine. Byung-sam desperately pleads for Sung-joo to share his urine sample. But as he chases Sung-joo around, the pee ends up spilling all over Dae-young. Ha! Unfortunately for all the boys, all of them are healthy enough to qualify for full enlistment — no cushy civil servant jobs for them. 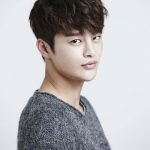 Dae-young tries to cheer everyone up by cashing in their food vouchers at a local restaurant, where he orders dumpling salad, udon, kimbap, and pork cutlets. All Ji-woo recommendations, of course. They’re served their dishes, and Ji-woo’s specialty is apparently mixing all the different food together into a delicious combo. All the boys are impressed at the way the flavors work together. Ha, Byung-sam and Jin-seok even have a Lady and the Tramp moment when they realize they’re eating the same udon noodle. Sung-joo suggests they go for dessert (courtesy of Byung-sam’s deep pockets, of course). Jin-seok asks that they go to a place with a lot of girls, and that’s how they find themselves at a princess-themed cafe. They’re the only guys there, and Dae-young grumbles that it’s not worth it, even if they get free toast and whipped cream with their orders of ice cream and patbingsoo. But Dae-young and Byung-sam chow down on the bread and cream, amazed at how delicious it is. Maybe saving room for dessert isn’t such a terrible idea after all. Jin-seok is thrilled that there are some girls that can’t keep their eyes off of them. Dae-young says they’re probably staring because they think it’s weird they’re the only guys in the place. Jin-seok’s determined to get a girlfriend before he enlists, though, even if Dae-young has no interest in dating. Jin-seok goes to introduce himself to the girls, but they’ve only been watching the boys because they’re waiting for the window-side swing seats the boys were sitting in to become available. 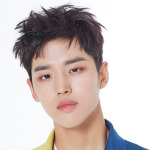 Ji-woo’s busy running around, working hard at Bennigan’s, when Dae-young shows up to take over for the rest of his shift. As she starts to leave, the manager asks if he can hire her on as a real employee, even offering her a higher rate than Dae-young just because she’s so much better at the job than he his. Ha! Jin-seok waits for Seo-yeon to come home. He’s screwed up his courage with a few drinks and finally confess how he feels. He tells Seo-yeon that he loves her and leans in to kiss her, but she shoves him away. She tells him that she never had any intention of dating him, reminding him that he volunteered to be her errand boy — she never made any condition that she would eventually date him. She further yells at him for only considering his feelings and not hers when he was confessing. She threatens to report him for sexual harassment, and Jin-seok quickly confesses that he no longer likes her and runs away. Ji-woo’s watched all this and yells at her sister for being so rude and inconsiderate. Seo-yeon says she’s not as cruel as Ji-woo, though, who keeps leading Byung-sam on because she’s no nice. Later, Ji-woo finds Dae-young studying the employment board, looking for another part-time job. Now that soccer star Park Ji-sung has signed on with Manchester United, Dae-young wants to go to England to watch a Premiere League match. In order to save up for both Germany and England, he needs more money. He even considers taking a break from school next semester in order to focus on working and saving money. The idea, of course, makes Ji-woo all sad and mopey as she studies the pink bear keychain. Seo-yeon knows exactly what her sister’s problem is, but Ji-woo denies it and refuses to listen to any of Seo-yeon’s attempts to give advice about Dae-young. Seo-yeon runs into Dae-young as they’re both hanging up laundry on the roof. She slyly asks if Dae-young wants to date before his enlistment, like the other boys, and Dae-young says there isn’t anyone he’s interested in. Amused, Seo-yeon says that this must be why he won’t be a good striker — he has tunnel vision which makes him blind to his surroundings, so he doesn’t have a clue what’s going on around him. Which is a skill a good striker needs in order to be successful in soccer. Haha, Dae-young takes her literally and proudly shows off his goal-scoring skills at the next soccer match. The gang decides to get something to eat, and Byung-sam agrees to pay only because he knows Ji-woo will be there. Jin-seok declines because he has a blind date, and is still determined to get a girlfriend before he enlists. Byung-sam is drunk, but Ji-woo seems to be even more drunk. Byung-sam once again confesses how much he likes her, and Ji-woo echoes her well-used rejection that she only likes him as a friend. Aw, I guess the eighth time isn’t the charm. In the morning, Ji-woo’s reeling from a massive hangover. Seo-yeon sighs that last night was a total disaster because “everything was revealed.” Ji-woo panics that she told Dae-young how she really felt, but in actuality, just as Ji-woo was about to confess, Seo-yeon screamed. She and Dae-young were watching the TV where a music group was debuting, and one of the members took off his pants (so that’s the “everything” that was revealed!). Both of them were glued to the TV when Ji-woo slurred out that she likes Dae-young, so no one heard Ji-woo’s drunken confession. Back to 2018, where Dae-young tries to protect Ji-woo from seeing a drunk man peeing into the bushes. She laughs at Dae-young, reminding him that, as a nurse, it’s not like she hasn’t seen it all. 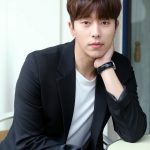 Dae-young sighs that it’s tiring getting older — he now gets tipsy after only a couple of beers, and working two jobs isn’t as easy as it used to be. Seo-yeon’s on the hunt for a new place to live and goes to an interview for a share house. She’s much older than the other girls, who are all in college. It’s a very awkward interview, and Seo-yeon can’t exactly prove her employment, or explain why her hours are so unpredictable. The other girls assume she must be a bar hostess and decide that she won’t be a good fit. Sun returns home, remembering Ji-woo’s advice to confess his feelings before he regrets it. But Seo-yeon isn’t in her room when he gets home — although her phone is. She gets a call and Sun answers it — it’s from another potential share house who says that she can move in. Sun’s shocked that she’s looking for another place to live. Seo-yeon was in the bathroom, and when she sees Sun in her room, he blusters that he has another market errand for her in the morning. Seo-yeon’s just relieved this means she isn’t fired, since Sun hasn’t tried to contact her all day. In his own room, Sun freaks out that maybe he’s already too late to confess since Seo-yeon’s moving out. Dae-young arrives at Ji-woo’s house in the morning for the breakfast she promised him. He assumes that the fish porridge she made is for him and immediately starts to eat it. But it’s for Kongali. Ha! Ji-woo actually made ginseng chicken soup for Dae-young, and as she sets it down on the table, he begins to babble about how nutritious it is. Ji-woo tells him to eat it before it gets cold, pointing out he’s only babbling because he’s embarrassed because he ate dog food. Ji-woo adds that she feels the need to pamper Kongali because she’s getting so old and can barely see her food bowl any more. Since Ji-woo’s vet has moved away, Dae-young introduces her to one of his clients who is also a vet so Kongali can get a check-up. He gets a call from a client and apologizes to Ji-woo, since he’d planned to stay with her until he had to go to CQ Foods. He sighs that it’s hard juggling two jobs, but he still wants to do well at both of them. Kongali is pretty healthy for being a 14-year-old dog, but she has cataracts, which is a normal part of aging. The vet suggests that all Ji-woo can do is give Kongali a comfortable life for as long as possible. Ji-woo says she’s doing the best she can to make Kongali happy. At the CQ Foods meeting, Dae-young is surprised that they’re going to be dropping the countryside restaurant. 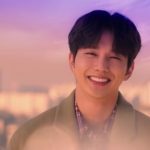 Sun points out that they can’t wait forever to have the restaurant agree to work with them, but Dae-young is confident he’ll eventually win the owner over by focusing on the owner’s mother and providing her all the pretty cakes she could want. Sun can’t stop thinking about confessing to Seo-yeon, which is amusing because it goes against Ji-woo’s advice to not overthink things. He calls Seo-yeon to ask her to meet with him after work. He then goes to a florist to buy flowers. He’s totally clueless as to what he wants, since he doesn’t know what kind of flowers Seo-yeon might like. When the helpful florist tries to get an idea of Seo-yeon’s personality, Sun says she likes to cross the line. Pffft. He finally admits he wants the flowers for a love confession. Seo-yeon’s annoyed that Sun is running late. She has her heels on to make it clear she’s ready to work, but finally kicks them off to sit down and rub her feet. The sound of the door makes her spring to attention and shove her shoes back on, but she’s surprised when Sun’s cousin Woo-young walks in. Sun’s cousin is also surprised to see Seo-yeon, who reassures Woo-young that she’s only there to work in order to pay her back. Woo-young says that Sun already sent her the money, which is the first time Seo-yeon’s found out that the debt was completely paid off. Ji-woo searches for dog-friendly vacations (so cute! ), and Dae-young calls to ask her to dinner as payment for making him breakfast. They go to a Japanese restaurant that specializes in blowfish, and Dae-young asks if Ji-woo is ready to die, since blowfish is notoriously poisonous if not prepared correctly. Amused, Ji-woo asks if he took her to this restaurant in order to sell her life insurance, but the two enjoy their blowfish feast without perishing. Dae-young makes blowfish puns and Ji-woo grimaces at his terrible jokes, but they happily fill their stomachs. Afterwards, they walk home, and Dae-young asks how the vet visit went. Ji-woo says that Kongali is old and has limited time left, which is something she’s known for the past couple of years, anyway. She keeps hoping Kongali will live another year, though. In her profession as a nurse, Ji-woo has to say goodbye so often to patients, just like she had to say goodbye to her own father and Seo-yeon’s father. Ji-woo sighs that it’s tiring always feeling like a farewell is imminent. Dae-young muses that it’s better than not knowing and being filled with regret over a sudden goodbye. Realizing that he’s talking about Soo-ji, Ji-woo stops and says that she doesn’t want the two of them to say farewell. They’re friends, and as such, they should promise to stay together forever. Dae-young gets a call from his boss — his vet client has requested to switch to another insurance agent since she overheard that Dae-young has two jobs. Dae-young dismisses it as no big deal, explaining to Ji-woo that it’s probably because the vet is worried Dae-young won’t give her his full attention. It just means he’ll have to work harder with his other clients. Sun arrives home with his giant bouquet, and is shocked to find his cousin there. Woo-young is furious that he didn’t tell her that Seo-yeon was living there and that he was the one who paid off Seo-yeon’s debt, instead of Seo-yeon getting the money back from her business partner. She sees the flowers, realizing Sun’s intentions. Woo-young tells Sun that Seo-yeon has more sense that he does, since she packed up her belongings and left already. Seo-yeon sits at a bus stop with her suitcase. She turns off her phone when she sees Sun calling (ha, she’s got him saved as “Line Lover” in her phone). Then she gets up and walks away. In the morning, Sun’s still trying desperately to reach Seo-yeon, but she doesn’t answer her phone. His boss calls him for a meeting and lets him know that the budget for the delivery project is being rescinded, and the creative team will be dissolved to work on other projects. Dae-young also arrives at his insurance job only to find out that he’s fired. Ji-woo carries over some breakfast to Dae-young, but is stunned when Seo-yeon opens the door of Dae-young’s apartment. Seo-yeon, in her nightgown, sleepily says that Dae-young’s at work, but takes the breakfast since she hasn’t eaten yet. Ji-woo barges into Dae-young’s apartment and shoves her sister to the floor. Seo-yeon shoves Ji-woo back, and the two sisters glare at each other. Oooh, I am so ready for the sisters to finally be honest with each other, even if it means one of their classic knock-down hair-pulling fights. Those fights always seemed to end with the two of them becoming chummier than ever, so I’m hoping the air will finally be cleared between them. Not that I think one angry fight will solve the problem of whatever happened a decade ago, but it’s high time they were finally honest with each other. They need each other, whether they know it or not, and I’m eager for them to recognize that their bizarre sister-friendship is more important than whatever is going on with the men in their lives. I love seeing Ji-woo and Seo-yeon back in 2004/5. Even though they’re constantly fighting, they’re also constantly supporting each other — well, in their own unique ways, that is. Seo-yeon knows full well that Ji-woo likes Dae-young, and is pretty sure that Dae-young likes Ji-woo, and I wish somehow that she could use her manipulative skills for the good and make those two idiots realize the truth. But then, if that happened, we wouldn’t be where we are today, would we? If Dae-young or Ji-woo had confessed how they really felt, maybe their lives would have taken a different path and we wouldn’t have had the previous two seasons that eventually led to life bringing Dae-young back to Ji-woo, when they’re both older and wiser and knocked down by life. Maybe I don’t particularly appreciate how Soo-ji’s story was handled, but I grudgingly admit it’s brought depth to a character that has been fairly simplistic. 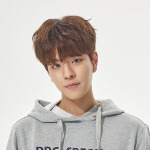 Even though Dae-young has been the main character in every season, I feel like he’s the character we know the least about. He’s always just there, enjoying food, helping his neighbors, and somehow ending up in relationships. But it’s so hard to get inside his head, except for little glimpses here and there, where I have to extrapolate entire theories about how he really feels based on one little glance. Sigh. Why can’t Dae-young have a running inner narrative like all the other characters on this show? That said, I’m not ready for all the angst that’s coming. Although I’m not particularly worried about Dae-young basically being fired from both jobs, just because, well, it’s Dae-young and he’s resourceful. But I still can’t bear the thought of him enduring another heartbreak by having one of his dreams crushed. He’s been so excited to pursue this delivery service with Sun — both that job and Ji-woo helped restore his joie de vivre, and Ji-woo has too much of her own baggage to deal with to end up being Dae-young’s only happy outlet (well, besides food, of course). I’m now hoping that Dae-young and Sun somehow team up and create a delivery company of their own, and end up dragging in Seo-yeon and Ji-woo into it as well. Sun and Seo-yeon have the business knowledge to handle all the details of money and marketing, while Dae-young’s sales skills can convince restaurant owners to agree to join the delivery service, and Ji-woo can be quality control, making sure all the food is delicious. It’s a genius idea, and I’m going to be mad if the show doesn’t go there because this is the best way everyone can be happy together. Maybe they can find Byung-sam and get him to invest in their business, since they’ll likely need packaging materials (assuming, of course, BS Industries is still in the paper business all these years later). It’s a perfect idea and I refuse to accept any other possible solutions, show. So don’t let the angst linger — let me binge on the cuteness!